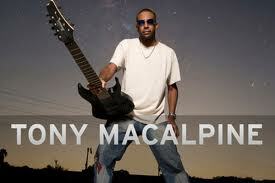 Q3: As for solo album, You started 7/8 strings guitar from “Tony MacAlpine”. In “Concrete Gardens”, “The King’s Rhapsody” has really cool heavy groovy riffs. Why did you start using 7/8 strings guitar? “Exhibitionist Blvd.” and title song have so djenty riffs. Do you listen to Meshuggah, Animals as leaders, or some other Djent stuff? 【TONY】: Ever since the early days of Planet X, I was involved with extended range guitars and very intrigued with how I could implement them into my strategy. The layering of different types of stringed guitars is as important as the usage of many various amplifiers I have access to in my studio. Sounds and textures have always been the basis of my understanding of music and its creation. I have to say that this is truly due to my years of study at the piano and playing the great instrumental works of Liszt ,Chopin Schubert and countless others. These are the real inspirations for me in my musical journey, and having the usage of these modern instruments within my reach merely widens the creative aspect greatly. Q4: You always have strong rhythm sections. Aquiles Priester and Pete Griffin are rhythm section this time. Why did you choose them? And would you introduce beautiful guitarist Nili Brosh in bonus EMG live DVD? 【TONY】: The live band will consist of Bjorn Englen on bass, and Aquiles Preister on drums for the US and European tours, and Thomas Lang on drums for the tour of Asia. I have toured and recorded with Aquiles Priester the Brazilian drum legend for quite some time now, and his musical depth is flourishing at an incredible pace. Thomas Lang is also a powerhouse drummer who is gifted with amazing technique and wisdom, as so many drum fans have witnessed over the years. The bass on Concrete Gardens features Pete Griffin (Giraffe Tongue Orchestra, Zappa Plays Zappa, Dethklok) on many of the tracks, as well as Southern bass powerhouse Sean Delson (Fozzy, Stuck Mojo) and India’s Lucky Islam on a track each. Pete Griifin, Aquiles, Nili Brosh and I worked very hard to record the EMGtv videos in 1 day, and i think at the time we did that we all learned some other hidden secrets of this new music. My good friend Jeff Loomis really shined on the EMGtv video as well as performing his usual mind blowing solos in the studio for this new album. Q5: And yeah, Jeff Loomis of Arch Enemy played guitar solo on “Square Circles”. I remember “Tears of Sahara” with George Lynch. Anyway, How did this collaboration started? 【TONY】: I have known Jeff for a few years, after being introduced to him by my manager Mike Mesker, and have always admired his work with Nevermore. He has been involved in really great heavy bands. One thing I always enjoy doing is working with other guitar players who are very confident with their instrument and have the ability to say worthwhile things, musically speaking. This is one of the unique things that Jeff brings to the table, as he shares that same love also of working with other guitarists. We were able to compliment each other when it came time to Record the EMGtv videos and the album. Hope fully our paths will again cross out there on there on the road somewhere, and I can have Jeff sit it on a track or two live. Q6: You are also talented classical piano player. Recently, you seem to be influenced by 20th century classic music like Stravinsky more than Bach, Chopin, Mozart. After all, I feel experimental or Jazz aspects strongly. This is my sentiments, what do you think about that? 【TONY】: I started playing the piano at the age of 5 at the Springfield Conservatory of Music in Massachusetts. I was constantly exposed to much of the piano literature that represents the modern recital form then as much as it does today. There have been no recent changes in my understanding and respect of the great music periods of music. I am constantly reading and playing many styles of music that I may never really ever record. So likewise, it must be understood that i am not able to always record works on the piano that will be suitable additions alongside my own solo releases. Much of the time I must choose a piece of music that will fit into the time structure of an album, as will as be palatable as an addition. I would love to record the Franz Liszt Sonata in B minor and include it on one of my albums…. but who has the time to listen to all of it? Q7: You’ve been played lots of bands or projects like CAB, Planet X, Ring of Fire, Steve Vai,,,Which project are you so attached to? And except for solo career, are you involved other projects now? 【TONY】: I have been focusing much of my time now on my own instrumental work, which will translate into more live shows and more studio records for some time now into the future. I took some time away from the actual process of writing and recording solo pieces to work with some other bands, but after some time away from this work I felt I have more stuff to say, and the journey of getting back into the swing of things has been fulfilling. I am writing music – especially piano works – for some younger artists, and I am in the process of recording them for future development. I was very privileged to have the chance to work with so many older players when i was coming along as a young player myself, and it’s nice really to be able to return that to younger players now. Q8: My favorite Tony’s song is “Violin Song” from “Premonition”. That has perfect balance between emotion and intelligence. And I love your way of modulate. Anyway, Which songs and albums are you most proud of in your works? 【TONY】: Each record i complete is a truth telling period in life, and all of these periods of life are important. None more than others – all are equal as they represent an important position for me. So i would say i am content to always strive to be the best player and composer that i can be, as long as i tell the truth musically and accept the challenge of recording and composing in a positive way. And as long as i continue to play and learn much about music on piano and guitar, as well as listening with my ears to music and instruments i do not play, i will always in one way or another have something to work towards.